With the Mourning Doves nesting right outside, we see them quite frequently. The children’s interest in them has sparked so many conversations, investigations and projects. Yet, the most magical interactions happen when the children are playing. Our Audubon Society birds with authentic sounds have helped us identify many of the birds on our playground. During Morning Meeting discussions, the children pointed out that birds make noises so that they may communicate with other birds. 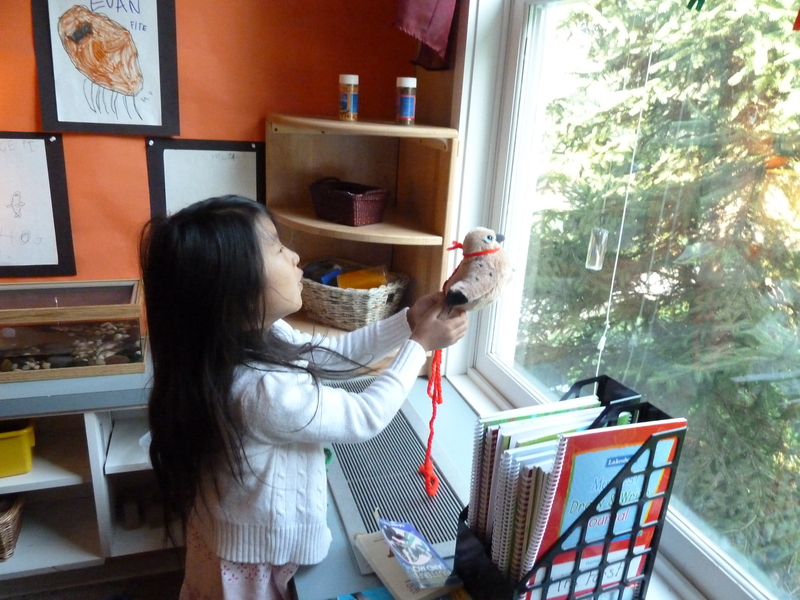 Notice our friend holding the Mourning Dove toward the window? She’s squeezing its belly and attempting to “communicate” with the real ones right outside.